The saddest part in life is when you find the right person who means a lot to you, only to find out in the end that it was never meant to be… And you just have to let it go. 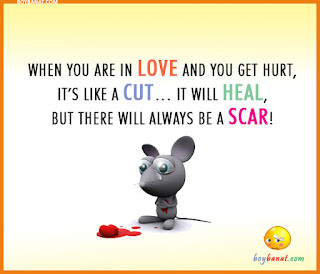 Here's collection of Sad Quotes and Sadness Sayings that surely will express your deepest feelings and at such times you can comfort yourself with the following sad quotes and sure you’ll find this post useful. If you have your own favorite Sad Quotes and Sadness Sayings, we would love to hear it,simply add a comment below or just email it to us with a subject: sad quotes. Hope you'll like it! It’s sad when the people you know became people you knew. When you can walk right past someone. Like they were never a big part of your life. How you used to be able to talk for hours And now you can barely even look at them. If it wasn’t for the pain I felt yesterday, I would not be the person I am today! It hurts me too much to realize that everytime I smile at you and you smile back I turn around and realize its not my smile that you’re returning. In the course of our life we come across many people. We remember some and forget the others. However, we never forget the people who break our hearts. Those who have suffered heartbreaks know that it takes a lot of effort to pick up the shattered pieces. 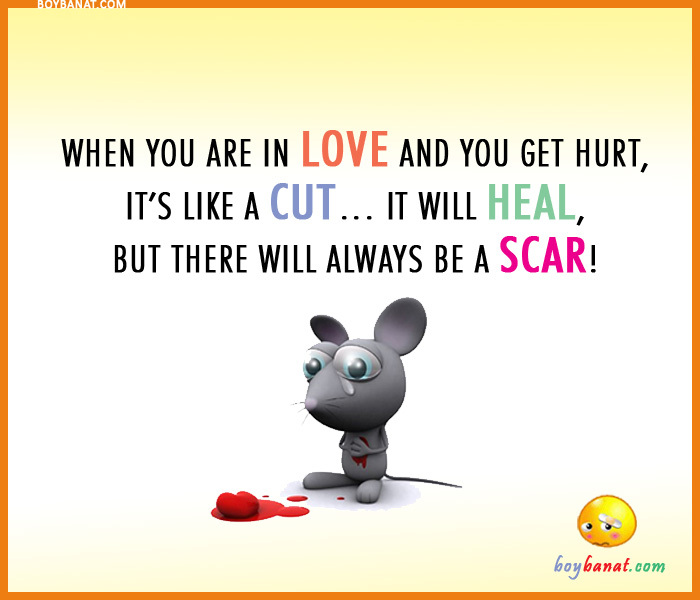 Each sad love quote on this page takes a look at this unhappy side of love. It's hard to hold on to something that you know would never be yours in any way you think of, you just have to learn to let go and face the fact that while good things never last….some don’t even start….. I want to do to you exactly what you did to me. I want to lead you on, make you fall for me , and then I just want to let you go…I want to confuse you like you confused me…but most of all I want you to feel the pain I feel. I didn’t want to admit it, it was easier to lie. Hide the hurt and emptiness, to smile instead of cry. Call me sad once I’ll just walk away, call me sad twice I’ll just say not today, and call me sad a third time and I’ll fall down and cry. 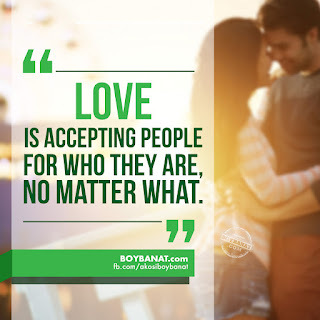 If you have you own Sad Quotes and Sayings, feel free to share it with us and we will be delighted to have them featured here at www.boybanat.com. Let us inspire more readers. For more reads and updates, you can also visit and Like our Facebook Page (www.fb.com/akosiboybanat). letting go of someone dear to you is hard. but holding on to someone who doesn't even feel the same is much harder..